Universal Pictures will release Joss Whedon's science fiction action movie Serenity on February the 27th. The film, a spin-off from the terrific short-lived TV series Firefly, stars Nathan Fillion, Adam Baldwin and Alan Tudyk. The disc will have extensive bonus content, including a script-to-screen featurette, A Filmmaker's Journey (20m), which wasn't included on the Region 1 edition. Other bonus material includes Joss Whedon Introduction (recorded for the initial screenings, 4m); a commentary track (by Whedon); nine extended or deleted scenes (extended Lilac entrance, extended Kaylee and Jayne, Inara and Sheydra, Operative Tracks Mal, extended River and Simon / Haven opening, Escape from companion training house, Mal and Inara shuttle chase, Mal and Inara quiet moment, and extended Mal operative coda - total 13m); outtakes (6m); Future History - The Story of Earth That Was (4m); What's In A Firefly (special effects featurette, 6m); and Re-Lighting The Firefly (featurette following the film from its TV series origins, 10m). Durations are taken from the BBFC. The BBFC has also certificated something called We'll Have A Fruity Oaty Good Time (1'35"), which might be included as an Easter Egg (as it is on other versions of the disc). No technical specifications were announced. Note that several bonus features on the Australian Serenity DVD are missing from the UK edition, so that seems to be the best version in terms of extras. Australian mail-order company EzyDVD are offering an exclusive limited edition embossed tin version, for about £13 plus postage. The Australian version is released on February the 8th. Details of the BFI's long-awaited DVD release of Ishiro Honda's seminal 1954 Japanese monster movie Godzilla are now available. The disc will feature the original uncut Japanese version of the film (the American version was edited, and featured new footage starring Ironside's Raymond Burr). The disc will feature a commentary track by three Godzilla experts; a short documentary on the incident that inspired the film, The Japanese Fishermen (1954); Designing Godzilla featurette; Story Evolution featurette; the original Japanese trailer; a trailer for the US version (which was re-titled Godzilla - King of the Monsters! ); a gallery of posters, storyboards and original artwork; and a fully-illustrated booklet. 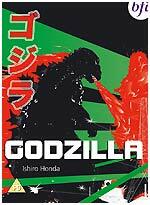 Godzilla will be presented in 1.33:1 format, in Japanese with English subtitles. The disc is currently pencilled in for release on February the 6th, but it's possible that it may be delayed a week or two. Honda's 1957 film The Mysterians is also being released by the BFI, but further details aren't currently available. Universal Pictures will release Bernard Rose's atmospheric 1992 horror movie Candyman on February the 6th, as a Special Edition DVD which seems to mimic Columbia's Region 1 edition, (which was released more than a year ago). 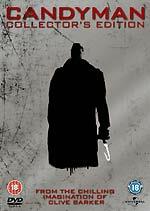 The disc comes with a solid array of bonus material: a commentary track (by Rose, Clive Barker, Tony Todd, Virginia Madsen and other contributors); two worthwhile featurettes (Sweets To The Sweet - The Candyman Mythos (24m) and Clive Barker - Raising Hell (11m)); and a selection of Bernard Rose's storyboards (5m). The film is presented in 1.85:1 anamorphic widescreen format. As with the Region 1 disc, the English audio track is in Dolby Digital 2.0 format (at 192kbps). RRP for the disc is £15.99. TLA Releasing will issue the screwball comedy Eating Out on DVD on February the 20th. The film, which made its UK debut at the London Lesbian and Gay Film Festival, is about a straight guy who has to pretend otherwise to win the girl of his dreams. It stars Scott Lundsford, Emily Stiles and Desperate Housewives' Ryan Carnes. The film will be presented in 1.78:1 anamorphic widescreen format, with Dolby Digital 5.1 audio. Bonus features include a photo gallery and original trailer. Here's some good news about Pathé's DVD release of The Aristocrats (announced in Tuesday's News update, below). The disc does have some bonus features! (Hint to PR company: it's probably worth mentioning this on the press release!) These are: a commentary track; Behind the Greenroom Door (comedians tell their favourite jokes); Be an Aristocrats (sic, competition winners); For Johnny Carson; and a theatrical trailer. If you're not easily offended, there's a clip from the film, featuring an unusual version of the famous joke, here. Hey, things are getting back to normal! Today we have a new DVD review for you! It's of the forthcoming Doctor Who DVD set The Beginning, which features the first three Doctor Who stories, which were originally transmitted at the end of 1963, and at the beginning of 1964: An Unearthly Child, The Daleks and The Edge of Destruction. It's a cracking set, and it's taken the best part of two days to write the review, so I hope you enjoy reading it! Click on the sleeve image, right, or here, to go to the review. A Roobarb's DVD Forum thread about this title can be found here. 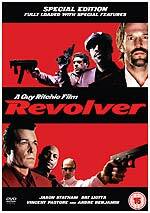 Redbus Home Entertainment (via Warner Home Video) will release Guy Ritchie's critically-mauled gangster thriller Revolver as a Special Edition DVD on March the 6th. The film stars Transporter's Jason Statham, Ray Liotta, The Sopranos' Vincent Pastore, and Andre Benjamin. The film will be presented in "16:9 widescreen" format, with a choice of Dolby Digital 2.0 or 5.1 audio tracks. There are English and English HoH subtitles. Bonus features include a commentary by Guy Ritchie; interviews with the cast and crew; and a Making of.. featurette. The RRP is £17.99. Beware The Eyes That Stare! 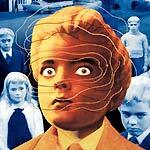 Warner Home Video will release a double-bill of Village of the Damned and Children of the Damned on DVD on March the 20th. The set will be exclusive to HMV. The films, based on John Wyndham's novel about a small village that wakes up to find all its women pregnant with what turn out to be super-intelligent alien children, are terrific, and deserve a place in every science fiction fan's collection. So far, so good. Unfortunately, it doesn't look like the set will feature the trailers or the commentary tracks that are on the Region 1 disc. But wait - Warner Home Video isn't done with screwing over the Region 2 buyer yet! The RRP for this pair of movies is a whopping £24.99. That's five times the cost of buying a copy from the US... I have a feeling that when the Department of Trade and Industry next have a nose into "rip-off" DVD prices, this title will be at the top of their list! 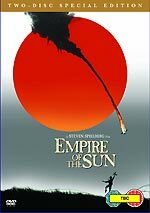 Warner Home Video will release a two-disc Special Edition version of Spielberg's 1987 war movie Empire of the Sun on March the 6th. The film, which stars Christian Bale and John Malkovich, is based on J.G. Ballard's semi-autobiographical novel about a young boy's experiences in a WWII Japanese civilian detention camp. The set will feature Les Mayfield's fifty-minute documentary, The China Odyssey, which was made in 1987 to promote the film. The film will be presented with a choice of Dolby Digital 2.0 and 5.1 audio tracks, with optional English and English HoH subtitles. The aspect ratio is TBA. The RRP is £19.99. Five catalogue titles will be released by Warner Home Video on March the 13th: Wait Until Dark, Who's That Girl, Conduct Unbecoming, Doc Hollywood and The Accidental Tourist. Wait Until Dark, the Academy Award nominated thriller about a blind woman (Audrey Hepburn), will be presented in "16 x 9 widescreen" format, with English subtitles. The disc will feature two theatrical trailers, and a featurette titles A Look In The Dark. The RRP is £15.99. The kooky 1987 Madonna film Who's That Girl has an RRP of £15.99 (three times the price of the American disc). No technical details were released. Michael Anderson's 1975 drama about a colonial British soldier who is accused of attacking a widow of a war hero (Susannah York), Conduct Unbecoming, also stars Michael York, Riuchard Attenborough and Trevor Howard. No technical details were released. The disc has an RRP of £15.99. The lightweight Michael J. Fox comedy Doc Hollywood, about an ambitious plastic surgeon who is sentenced to community service after a minor traffic accident, and who finds his plans on hold when the small town takes a shine to him, is also due on March the 13th. It will have English subtitles. After that it's anyone's guess. The RRP is £15.99 (five times the price of the Region 1 disc). Lawrence Kasdan's Academy Award Best Picture-nominated romance The Accidental Tourist, which stars William Hurt, Kathleen Turner and Geena Davis, will be released in widescreen format, with optional English subtitles. The disc will have an introduction by Kasdan, about forty minutes of audio commentary by Geena Davis (who won a Best Supporting Actress Oscar for her role), a featurette titled It's Like Life; deleted scenes and trailers. The RRP is £15.99 (three times the price of the US edition). Two further Warner Home Video catalogue titles are due on March the 27th: 42nd Street and The Unbearable Lightness of Being. 42nd Street, the 1933 musical about the creation of a Broadway show, will arrive on disc with a trailer and three featurettes, titled Henry Warren: America's Foremost Composer, Trip Through a Hollywood Studio and Hollywood Newsreel. The disc will have English subtitles. No other technical details were announced. The RRP is £15.99. Philip Kaufman's The Unbearable Lightness of Being is given the Special Edition treatment. The bonus on the two-disc set are a commentary track (by Kaufman, co-writer Jean-Claude Carriere, co-star Lena Olin, and editor Walter Murch: the one recorded for the now-deleted Criterion DVD) a trailer, and a featurette, Emotional History: The Making of The Unbearable Lightness of Being. This is a title that Warner Home Video has inherited from MGM: a new Region 1 version is due on the 7th of February. The RRP is £19.99. This title will be exclusive to HMV. The sleeve art for all these March 13th / March 27th discs is identical to the Region 1 editions. 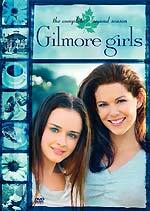 The Complete Second Season of Gilmore Girls will be released by Warmer Home Video on March the 13th. The six-disc set will include all twenty-one episodes of the 2001-2002 series, which is about the relationship between a mother and her teenage daughter (Sin City's Alexis Bledel). The set will feature "loads of special features including additional scenes and a featurette International Success". Techincal details are all TBC. The RRP is £44.99. 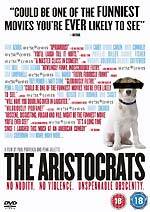 Pathé Distribution will release the comedy hit The Aristocrats on DVD on January the 30th. The film was produced by Penn Jillette (of Penn and Teller fame), and directed by Paul Provenza (who used to star in Northern Exposure - hey, synergy!) It features contributions from Billy Connolly, Eddie Izzard, Robin Williams and George Carlin. 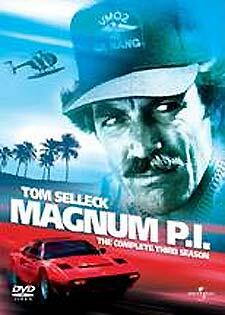 Universal will release the third season of Magnum PI on January the 30th. The set will feature all twenty-three episodes of the 1982-83 series, which featured guest cameos from Morgan Fairchild, Ian McShane, Nicholas Hammond, Ernest Borgnine, Keye Luke, Joseph Wiseman and James Doohan. The set will have an RRP of £34.99. 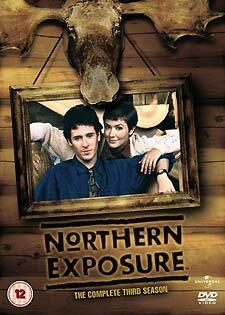 The third season of Northern Exposure, the 1990-1995 series about a newly-qualified Doctor (Rob Morrow) who is assigned to a tiny Alaskan town populated by quirky inhabitants, will be released on DVD by Universal on January the 30th. The set will include twenty-three episodes, spread across six discs, in three cases. There will be "deleted or extended features". The arrival of a New Year sees the return of Kaleidoscope's eagerly-awaited events. 2005 was a bonanza year with record sums raised for the Lifeboat Appeal. This year, our New Year's Resolution is to raise even more money for them. We want to break the £2000 barrier for the first time - a perfect way to celebrate sixteen years of quirky, off-beat, fun events. We have listened to our audiences and this year we have added new features - an afternoon tea break, and extended opening hours for the Bar, which will now offer tea, coffee and food to save people popping out and missing a single second of the great shows. Brian Smith and George Sewell. * 13:00 Frost On Sunday - a tribute to the late Ronnie Barker. signing copies of his newly published memoirs. figure takes to the stage. of this funny John Cleese series directed by James Cellan Jones. * 18:00 Adam Adamant Lives! - Sing a Song of Murder starring Gerald Harper, Juliet Harmer and Jerome Willis. * 15:00 Peak Practice - Hope to Die. * 16:00 Making Waves - episode six, unseen on ITV1 so far. In 2006, Kaleidoscope is supporting the Royal National Lifeboat Institution once again.